How should i prep frozen veggies? 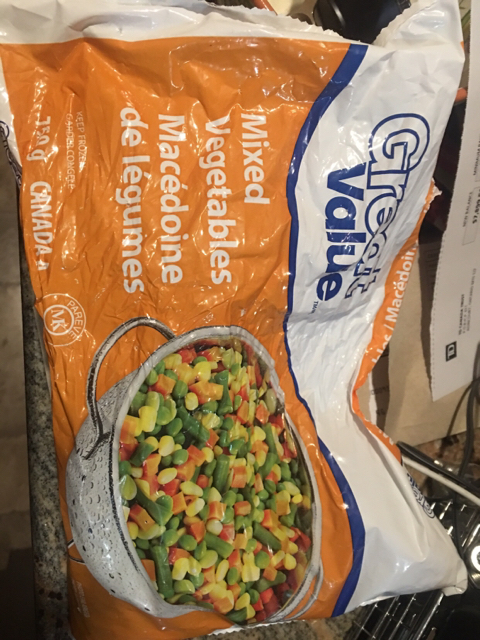 I got some basic mixed veggies from Walmart and I’m torn on how I should serve them, cold, or cooked. Re: How should i prep frozen veggies? I generally don't use, because they aren't organic. Those particular veggies you have aren't organic like curlysister stated. Organic are usually avaliable at most grocery stores for $0.50 more or so a bag. I always try to get NON GMO, Organic myself when possible for my own consumption as well as for the crabs. I personally believe GMO and processed foods are way worse then what they let you know. That's another discussion all together. As for prepping frozen foods for the crabs, when you cook them just thrown some of the pieces on a plate or bowl to thaw. Or put a few pieces in the tank frozen either way the crabs will eventually find them.